OTTAWA — A Senate committee is urging Ottawa to explore options for the training and certification of imams as part of a wide-ranging set of recommendations aimed at confronting the threat of terrorism. The report, which represents the views of the committee’s Conservative majority but lacks the backing of Liberal members, did not indicate what options might be available to the government. Ihsaan Gardee, executive director of the National Council of Canadian Muslims, said that imams should not be subjected to certain limitations. “We are deeply concerned by the suggestion that imams require a special vetting as opposed to any other faith leaders. The criminal code currently includes provisions to deal with anyone suspected of promoting terrorist ideology, and this recommendation really bares the hallmarks of racial and religious discrimination,” Gardee said. 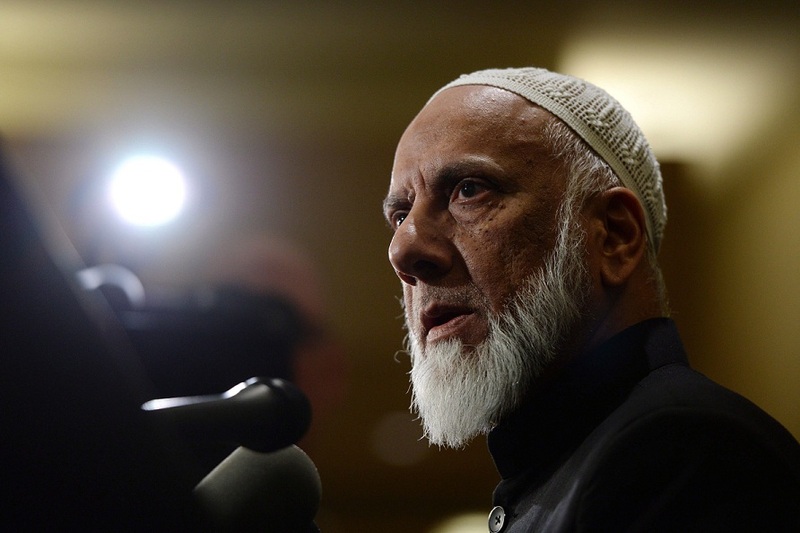 Imam Syed B. Soharwardy of the Islamic Supreme Council of Canada was skeptical that imam certification would be effective. In addition to the recommendation on imams, the report also urged the government to outlaw membership in terrorist groups, bar radical ideologues from Canada and look at forbidding the glorification of extremists. In general, the senators expressed concern about the small number of terrorism prosecutions, including for extremist financing. “We cannot try to appease this threat that we face,” Conservative Sen. Daniel Lang, the committee chairman, said in an interview. The committee’s 25 recommendations flow from nine months of hearings on security threats facing Canada. The interim report examines terrorist recruitment, operations, financing, prosecutions and other aspects of what it calls the genuine threat of violent extremism. Committee members were told 93 Canadians had sought to join Islamist extremist groups like the Islamic State of Iraq and the Levant, al-Qaida and Boko Haram. Canadians must tackle the issue in a thoughtful, balanced way without undermining the values “that make us great,” the report says. A number of the report’s recommendations push farther than the Harper government chose to go in its controversial omnibus security bill, introduced after two Canadian soldiers were killed last October in daylight attacks just days apart by jihadi-inspired, lone-wolf attackers. For instance, the anti-terrorism bill — which recently received royal assent — makes it a crime to promote terrorist acts but stops short of outlawing the glorification of extremist plots and symbols. Liberal Sen. Grant Mitchell, the committee’s deputy chairman, said Wednesday he disagreed with the Conservatives on several key issues. Mitchell supports police counselling and liaison to help steer young people away from radical ideas — an approach the report questions.